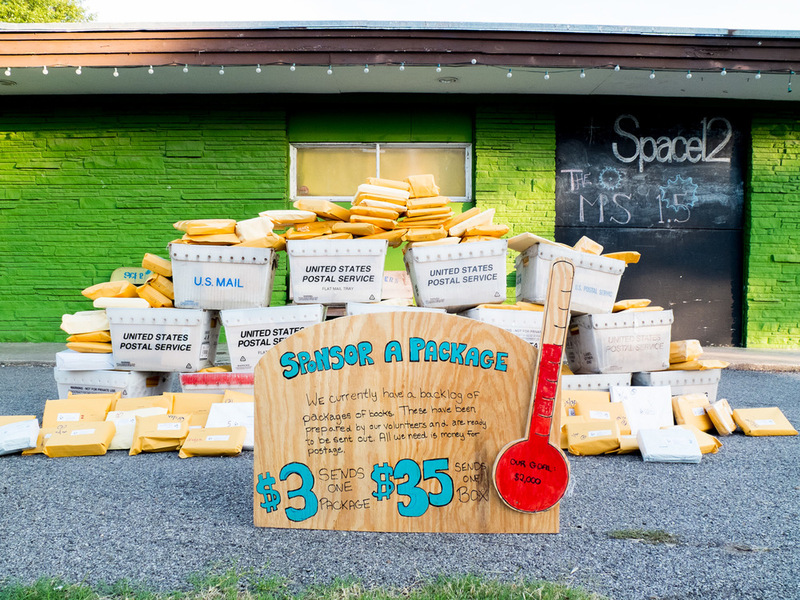 Inside Books Project is a volunteer community service organization in Austin that sends free books and educational materials to prisoners in Texas. Volunteers open letters from inmates, select books to best fit the request, and make packages of books to send back to each inmate. The books selected by the volunteers become the personal property of each inmate. Inside Books Project has sent over a quarter million free books to inmates in Texas, funded entirely by donations from our community. Inside Books Project has no paid staff - all donations go directly to support our mission. 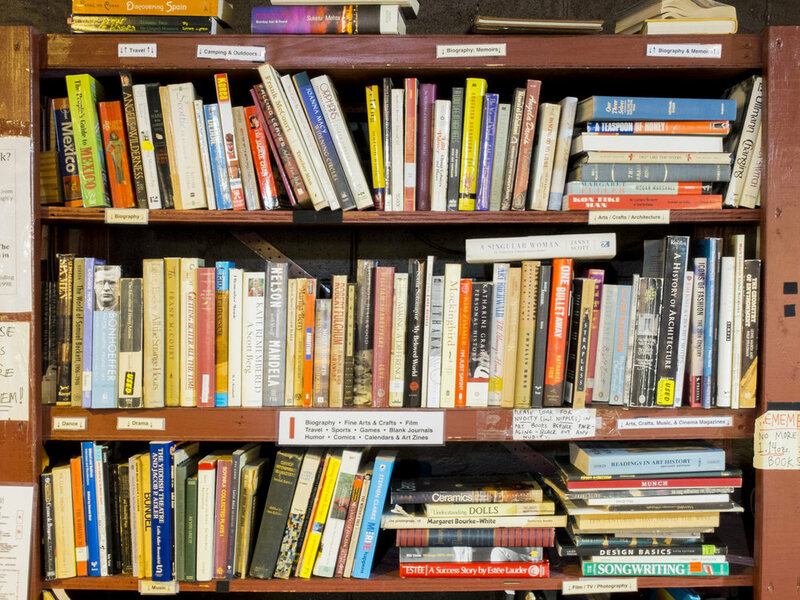 Give your gently used books a second life by donating them to Inside Books Project. Prisoners request specific books and educational material and volunteers match those requests with books donated from our community. 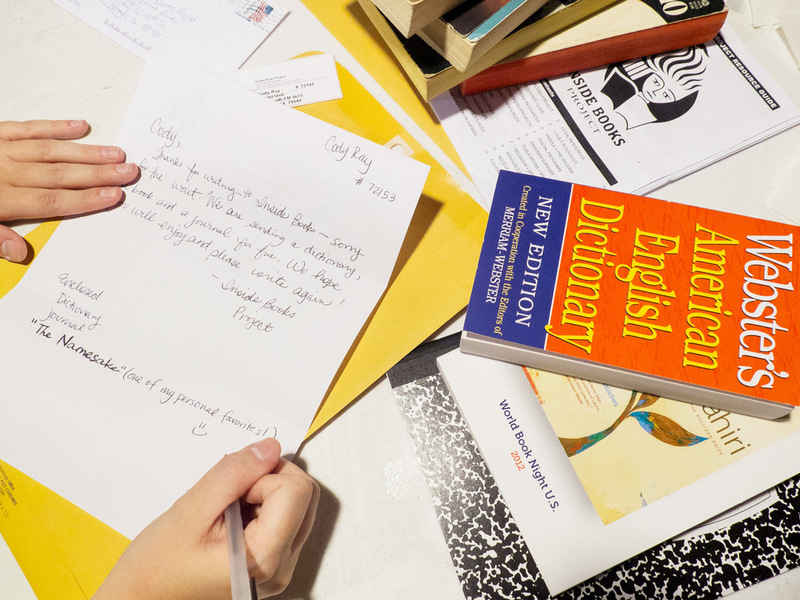 Inside Books receives written requests from inmates for books and resource guides. The books we send back become the personal property of the prisoner who requested them. In 2014, we received over 18,000 requests and sent out over 35,000 free books to prisoners. During each volunteer session, dozens of volunteers learn about the hopes and challenges of Texas inmates from personally reading and responding to their requests. We believe that every prisoner has the right to quality reading and educational materials, and that reading, learning, and self-expression are invaluable opportunities that are too often denied to Texas inmates. Cuts to prison education programs and libraries continue to highlight the emphasis on punishment over rehabilitation. The benefits of literacy in inmates’ post-incarceration lives are well-documented, and evidence points to a beneficial relationship between additional reading and increased literacy. We rely upon our volunteers and community to donate their time, books, and money. We hold two volunteer sessions a week where volunteers read prisoner requests, select books, write responses, and create packages. Core volunteers solicit book donations, send packages, pick up donated books, staff volunteer nights, and plan fundraising events. We are powered by our community! Inside Books Project was founded in 1998 and obtained status as an independent 501(c)(3) nonprofit in 2012. Inside Books has always been a community-focused and volunteer-run organization.